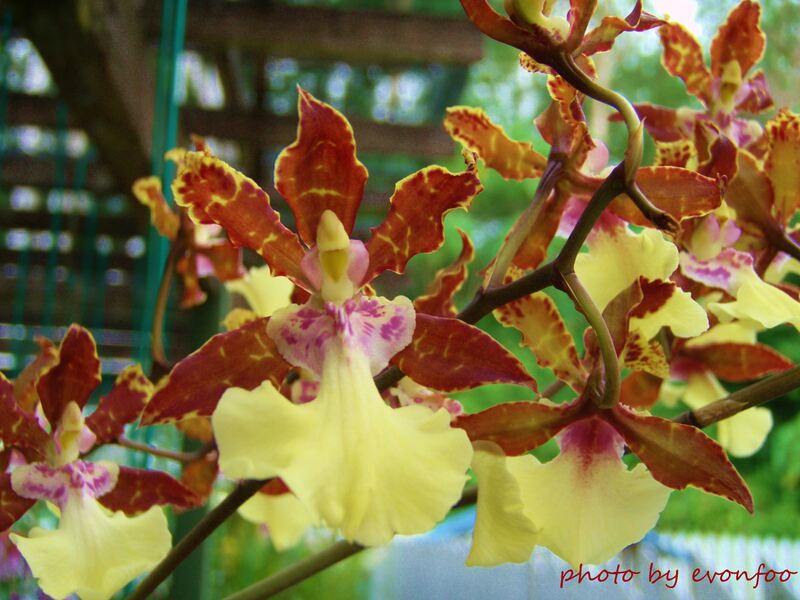 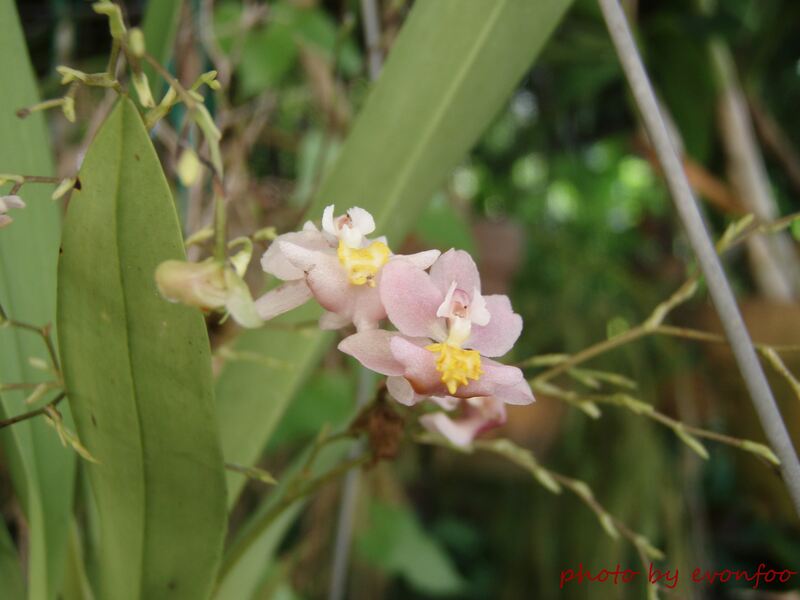 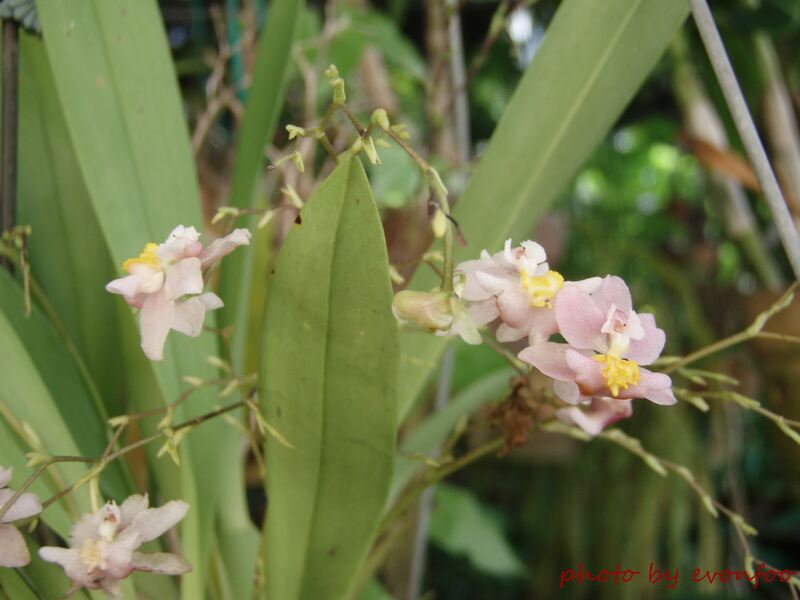 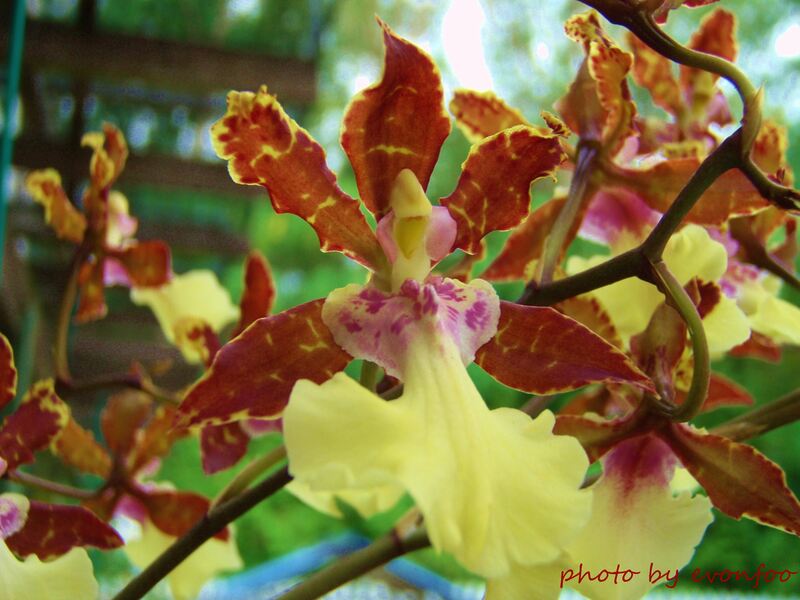 I find Oncidium very delightful. 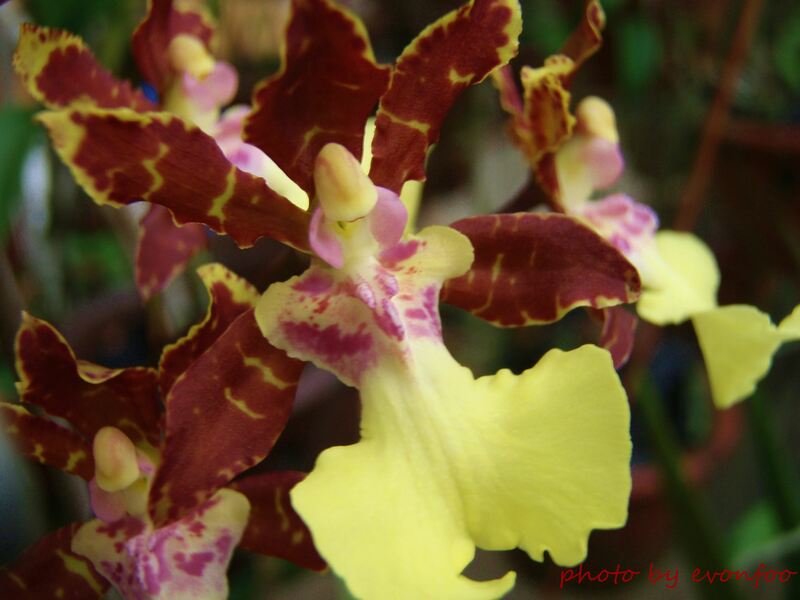 Their ruffled yellow lip really do make them look like ladies in full dancing skirts and they are really pleasing to the eyes. 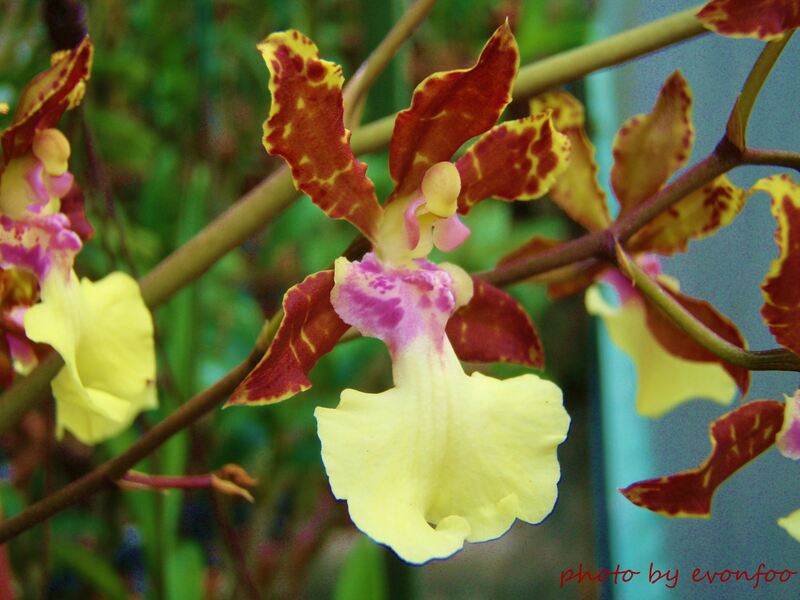 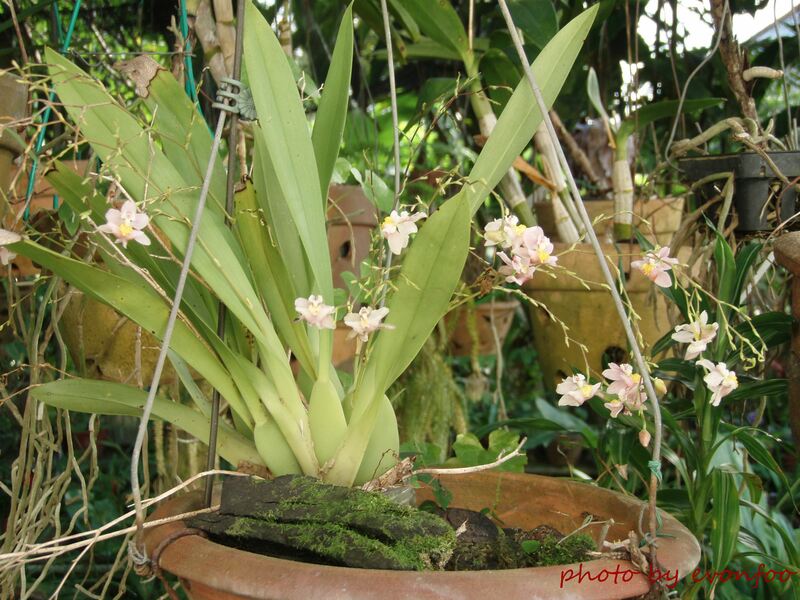 In the past few weeks I spotted two pots of very unusual Oncidium, one in dad’s small orchid garden and one at friend David’s. 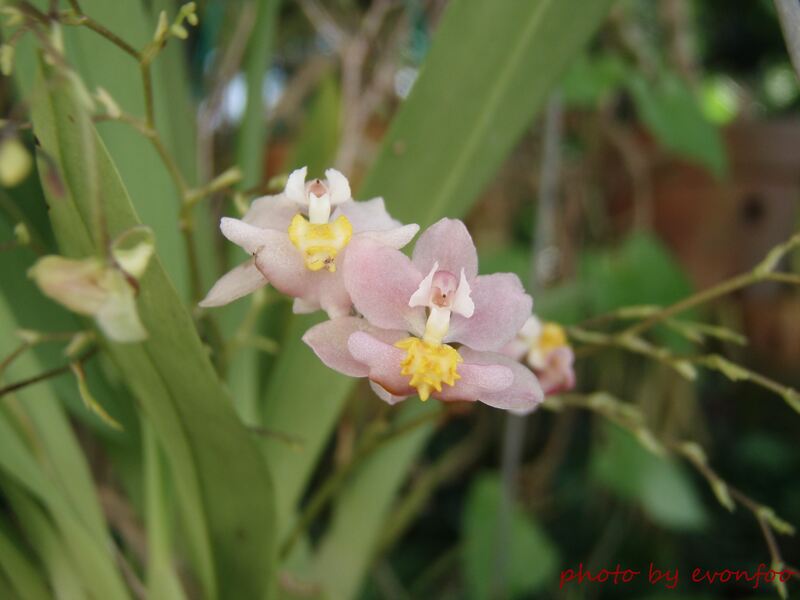 Big flowers with brown petals and pink centre, never seen anything like it before!